The origin of Bourne dates back hundreds of years to Roman times (Roman coins have been found here, along with a tesselated pavement) and as such the town has a very rich history, with 71 listed buildings in total, including a number of old coaching inns, almshouses, manor houses and cottages, along with ancient woodlands. The town is believed to be the birthplace of Hereward, Lord of Brun, one of the last to rebel against the Normans. Bourne Abbey, formerly held and maintained land in Bourne and other parishes. In later times this was known as the manor of 'Bourne Abbots'. Whether the canons knew that name is less clear. The estate was given by the Abbey's founder, Baldwin fitz Gilbert de Clare, son of Gilbert fitz Richard, and later benefactors. The Abbey was established under the Arrouaisian order. Its fundamental rule was that of Augustine and as time went on, it came to be regarded as Augustinian. The Ormulum, an important Middle English Biblical gloss, was probably written in the abbey in around 1175. There are currently 71 listed buildings in the parish of Bourne, the most important being the Abbey and Parish Church of Saint Peter and Saint Paul (1138) which is the only one scheduled Grade I. The others are Grade II, the most colourful being the aptly named Red Hall (ca. 1620), finished in red brick with ashlar quoins, many gabled and featuring a fine Tuscan porch. From 1860 to 1959, it was the town's railway station booking office and waiting room. At two stages, in the 1890s and 1960s, it came close to demolition but the building is now well preserved by Bourne United Charities. The former station booking office serves as the BUC's office. Baldock's Mill (1800), once a corn-grinding water mill, together with the miller's house, has been converted by Bourne Civic Society to serve as the town's Heritage Centre. It houses many interesting artefacts, most recently a water-wheel has been installed and a newly-created replica of a Charles Worth dress is on display. The Heritage Centre, located on South Street, is open every weekend from 2.00pm until 4.00pm and is well worth a visit to fully appreciate the fascinating history of Bourne. Bourne had a workhouse that was located on what is now St Peter's Road, designed to accommodate 300 people. The workhouse remained operational up until the 1930s when it became St Peter's Hospital for the mentally handicapped. The hospital closed in the 1980s and remained empty for many years before becoming part of Warners printers, it was then demolished in 2001. 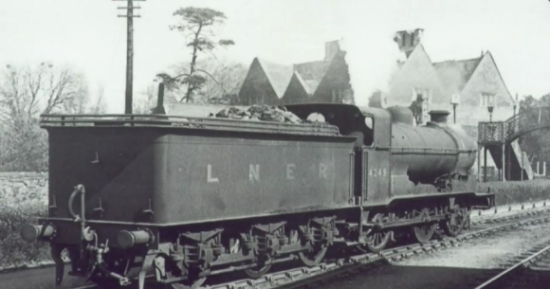 Bourne had a working railway station (located off South Street, next to The Red Hall), which opened in 1860 and closed to passengers in 1959, although the section from Bourne to Billingborough remained open for goods until 1964. The building used as the orginal station building still remains as part of a residential development constructed by Linden Homes. The Red Hall served for a 100 years as the railway booking office. The Bourne Railway was an 18-mile-long Great Northern Railway built single-track branch railway line that ran between Bourne, on the Midland and Great Northern Joint Railway main line between the Midlands and the Norfolk Coast, to Sleaford, on the Peterborough to Lincoln Line via four intermediate stations: Morton Road, Rippingale, Billingboro and Horbling, and Aswarby and Scredington. The former railway line in Bourne with the Red Hall (formerly the ticket office) in the background. 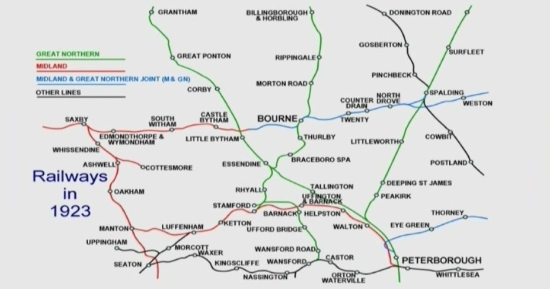 The former railway network in and around Bourne in 1923. The Baptist Church building dates from 1835 but the Church itself was established here in the 1640s. This building, the Methodist Church (1841) and the United Reformed Church (1846) are all still in active use. The imposing Georgian Town Hall that sits in the heart of the town centre was constructed in 1821 after the land for this was gifted to the community by the Marquis of Exeter. Quarter session hearings were held here, alternating with Sleaford. More recently South Kesteven District Council used this building for some of its services, including a cash office, before relocating to the Bourne Corn Exchange. The Town Hall once had a clock tower that was destroyed by fire which broke out on Saturday market day, 31st October 1933. A Trust has now brought the building and plan to convert this into a £1 million community arts centre for the town and surrounding villages. The Corn Exchange (now used as a Community Access Point) was built in 1870 by a private company and was designed as a public hall and corn exchange. The main hall is still used for hosting events and functions. The Angel Hotel, originally known as The Nags Head, was constructed in the 18th century, serving as a coaching house where horses were changed when the coach was on its way from London to Lincoln. The building still contains many of its original features both internally and externally, including the Ostler Bell. It is thought to be one of the oldest surviving hotel in the local area, still operating to this day as a thriving hotel with twelve en-suite rooms, and a coffee shop/bar area on the ground floor. There is also evidence of a Norman double bailey castle in Bourne that was built by Baldwin FitzGilbert. It is thought that the the castle was destroyed after being used by Cromwell's troops in 1645 and a farmhouse was built on the site. The land where the castle was once stood now forms part of the Well Head Park, owned and managed by Bourne United Charities. Traces of the inner and outer moats are now all that remains of the castle. Interestingly, a small urn containing upwards of 60 Roman coins were found in digging near the earthworks of Bourne Castle in 1807. In the not so distant past Bourne also had its own hospital that once stood on the site now occupied by housing opposite the main frontage of Elsea Park. The hospital closed its doors to the public back in 1998 after first opening in 1915. This well-used community hospital was originally intended for patients suffering from infectious diseases, however, the hospital expanded over time and facilities increased quite significantly - By 1965, it was being run as a medical and surgical unit with 53 beds. The people of Bourne campaigned to save the hospital from closure but unfortunately it was forced to close in favour of centralisation. Residents of the town are now forced to travel to Peterborough for hospital visits. Bourne is reputedly the birthplace of Hereward the Wake, although the twelfth century source of this information, De Gestis Herwardi Saxonis, refers in this connection only to his father as being 'of Bourne' and to the father's house and retainers there. Charles Kingsley used the De Gestis text for his lively novel which repeats the fundamental story with much descriptive embellishment. Orm (or Ormin) the Preacher (flourished 1180) worked at Bourne Abbey during the 12th Century, about a century earlier than Robert Mannyng (see below) but his presence here has only been revealed during recent research. His collection of homilies known as The Ormulum has been well known to linguists and language historians ever since the 17th century but its source has only recently been established as Bourne Abbey. Orm's language provides a glimpse of the English vernacular of the time and before it was strongly influenced by the French. It is assumed that the manuscript remained at Bourne Abbey until the dissolution of the monasteries between 1536 and 1540 and after various owners, it is now in the Bodleian Library at Oxford University, where it is kept in conditions in keeping with its age and fragility. Robert Mannyng (1264 - 1340) is perhaps the most notable of the town's past citizens. He is credited with putting the speech of the ordinary people of his time into recognisable form. He is better known as Robert de Brunne because of his long time residence as a canon at Bourne Abbey. There he completed his life's work; he popularised religious and historical material in a Middle English dialect that was easily understood by the people of his time. His work Handlyng Synne is acknowledged to be of great value because it gives glimpses into the ways and thoughts of his contemporaries and even more, shows us the language then in common use. William Cecil (1520 - 1598) became the first Lord Burghley after serving Queen Elizabeth I for forty years, during which time he was the main architect of Britain's successful policies of that period, earning a reputation as a master of renaissance statecraft with outstanding talents as a diplomat, politician and administrator. He was born at a house in the town centre at Bourne that is now the Burghley Arms and a plaque on the outside reminds us of this event. Job Hartop (1550 - 1595) was a farmer's boy working on the land near Bourne but hankered after a life of adventure and ran away to sea when he was twelve years old. After a short apprenticeship with a gunpowder manufacturer in London, he signed on with the English admiral Sir John Hawkins and sailed the Spanish Main in the company of the young Francis Drake. He was captured by the Spanish on his third voyage and spent ten years as a galley slave and thirteen years in a Spanish prison but managed to escape and make his way back to Bourne where he spent his final days recounting his adventures in the town's taverns, although the privations he suffered had taken their toll and he died at the age of 45. Robert Harrington (philanthropist) (1589 - 1654) made large bequests to Bourne from which the community benefits to this day. Legend has it that he walked to London to seek his fortune and was most successful in his endeavours and when he died, he remembered his home town by leaving shops and dwelling houses in the Leytonstone area "for the benefit of his own people", namely the citizens of Bourne. 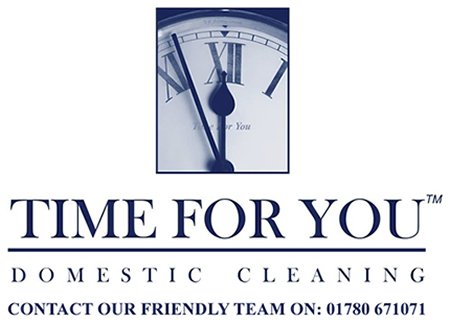 The charity established in his name is by far the greatest currently administered by Bourne United Charities and fittingly, Harrington Street was named in his memory. Dr William Dodd (1729 - 1777), was an Anglican clergyman, a man of letters and a forger. He was also the son of the Rev William Dodd who was Vicar of Bourne from 1727-56, graduating with distinction from Clare College, Cambridge, and then moved to London where his extravagant lifestyle soon landed him in debt and worried his friends who persuaded him to mend his ways and so he decided to take holy orders and was ordained in 1751. He became a popular and fashionable preacher but was always short of money and in an attempt to rectify his depleted finances, forged a bond in the sum of £4,200. He was found out, prosecuted and sentenced to death and publicly hanged at Tyburn on 27 June 1777. Charles Worth (1825 - 1895) was born in this town, the son of a local solicitor who lived at Wake House in North Street which survives today as a community centre. He left Bourne when still a boy to seek his fortune in Paris where he became a world-renowned designer of women's fashion and the founder of haute couture. His reputation was such that the French government awarded him the Legion of Honour and when he died, 2,000 people, including the President of the Republic, attended his funeral. Robert A Gardner (1850 - 1926) was a bank manager in Bourne and also a talented artist whose work was exhibited in the Royal Academy. He never aspired to public office but his interest in the community inevitably resulted in a number of appointments, notably as a magistrate and chairman of the Bourne bench. But he is best remembered for his paintings and many of his works survive to this day, mostly in private ownership although some can be found hanging in the Red Hall. Frederic Manning (1882 - 1935) wrote what is considered to be one of the finest novels dealing with the Great War of 1914-18 and much of this work was completed while staying at the Bull Hotel in Bourne, now the Burghley Arms. Manning was an Australian who chose to live here after a spell at Edenham where he stayed with the vicar, the Rev Arthur Galton, who had been his tutor. Her Privates We (Hogarth Press, ISBN 0-7012-0702-7) was at first published anonymously, to much critical acclaim, but eight years after his death, it was published in 1943 under his own name and is still in print almost 70 years later. In the book, Manning acknowledged his affection for this town by calling his hero Private Bourne. Lilian Wyles (1885 - 1975) was a major influence in the acceptance of women into the police force. She was the only daughter of the Bourne brewer, Joseph Wyles, and after a spell of duty on the streets of London with the new women patrols to assist young girls at risk, was promoted inspector in 1922, becoming the first woman officer of the Metropolitan Police's CID department. Charles Sharpe (1889 - 1963) was a farmer's boy from Pickworth, near Bourne, who ran away from home and joined the army. During the Great War of 1914-18, an act of conspicuous bravery earned him the Victoria Cross, Britain's highest decoration for valour, and he subsequently inspired many young men to enlist. On return to civilian life, he worked at a number of jobs, notably as a physical training instructor to boys at the Hereward Camp approved school, who regarded him as a role model. Raymond Mays (1899 - 1980), son of a local businessman, achieved fame in the world of international motor racing, both on and off the track. After a successful career as a driver, he opened workshops in Bourne where he developed the BRM, the revolutionary car that eventually won the world championship in 1962. Mays, who lived at Eastgate House in Bourne all his life, was honoured with a CBE in 1978 for his services to motor racing. For the past 80 years, Bourne has been noted in the field of motorsport under the names of Raymond Mays, ERA, BRM, the Hall Brothers and Pilbeam Racing Designs. Jackie Stewart in the BRMThe two famous racing car marques English Racing Automobiles and British Racing Motors were both founded by Raymond Mays, international racing driver and designer. ERA started in 1934 and BRM in 1949, when the first car was unveiled at Folkingham Airfield. Success was slow in coming but new workshops were opened in 1960 where engines and cars were developed. In 1962 Graham Hill won the world championship in the BRM, the first British driver to win in an all-British car. The BRM team won the Constructors' Championship, and also that year's team prize at the BBC Sports Personality of the Year awards. Motor racing fans believed this would be the start of a new era for the sport, but it proved to be something of a false dawn. By 1965, the company had 100 employees in Bourne and this was another victorious year when BRM cars gained either a first or second prize in every Grand Prix race that was held. After that, the cars had mixed fortunes until the Mexican driver Pedro Rodriguez scored a comeback victory in the 1970 Belgian Grand Prix at Spa. There were further successes but as the sport became the province of heavy commercial sponsorship, advancement was dogged by mechanical failures and lack of resources. The team ceased to compete after 1977. In all, BRM won seventeen Grands Prix between 1959 and 1972, the successful drivers apart from Hill (10), Stewart (2) and Rodriguez were Jo Bonnier, the tragic Jo Siffert, Peter Gethin and finally, Jean-Pierre Beltoise. Soon after Mays died in 1980, Rubery Owen decided to sell the BRM collection of racing cars. The sale created international interest when it took place during the Motor Show at Earl's Court, London, in October 1981. The former workshops are now occupied by a firm of auctioneers who use them as a saleroom, but the achievements of Raymond Mays and the motor racing connection with Bourne are remembered with a Memorial Room at the town's Heritage Centre (Baldock's Mill in South Street). The room is filled with photographs, memorabilia and an impressive display of silverware won by BRM cars and drivers on international circuits. Following on from a uniquely memorable Sunday in August 1999 when a collection of BRM cars paraded around the streets of the town watched by hundreds of spectators , a superb memorial to Raymond Mays and the town's motor racing heritage was unveiled in South Street in 2003. Bourne continues to be closely connected with the motorsport industry. In 1975, BRM's former Chief Designer, Mike Pilbeam, set up Pilbeam Racing Designs which is still based in the town. Pilbeam is particularly known for its outstanding successes in hillclimbing in the 1980s and early 1990s. The remains of the old railway line that used to run from Bourne through to Stamford are still visible on the grounds of Grimsthorpe Castle, just a few miles west of Bourne. There was an RAF base at Langtoft (near Bourne) that was opened in 1942 as a 'final station' Ground Control Intercept (GCI) station. The control bunker still exists at the site, as does the RAF guardhouse, which has now been converted to a house. The station was sold in the mid 1960s to its present owner and is now used as a scrap yard. Two fires destroyed large parts of the town. One, in 1605, burned the whole of Manor Street. The second came in 1637 and destroyed the greater part of Eastgate. Bourne used to have a dedicated hospital for the town (The Bourne Rural District Council Isolation Hospital) that was built in 1913 on South road to replace an earlier hospital on Manor lane. It remained operational until 1930 and was eventually demolished to make way for new housing.